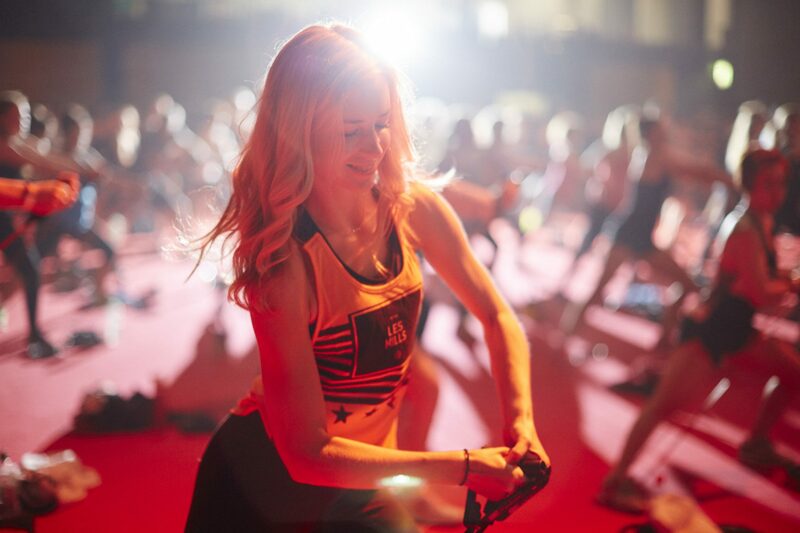 Never has the expression “Your vibe attracts your tribe” been more apt than at Les Mills Live which took place at Excel London in partnership with Reebok earlier this year. Take over 4,000 super positive, super fit, super dedicated simply smashing Les Mills fans (known in the inner circle as the #lesmillstribe) and you have one pretty powerful sight to behold. Back in March, Les Mills Live Global Tour kicked off with mega watt power and I was lucky enough to be presenting the event with fellow presenter AJ Odudu. If the name Les Mills doesn’t immediately ring a bell then I’m sure the mention of the Les Mills classes such as Body Attack, Body Pump, Body Combat, RPM (the list goes on) will be instantly familiar. I mean if you haven’t done a Les Mills class then, really, where have you been?! 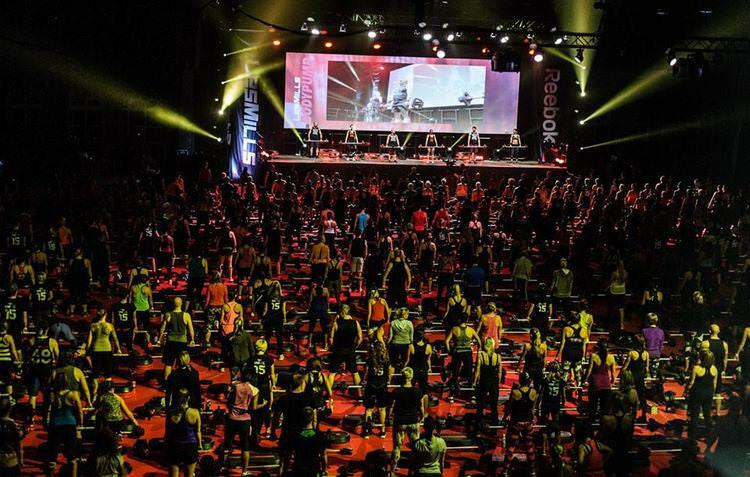 The tribe trekked from far and wide (some getting up as early as 2AM to make it from Ireland, Scotland and Wales), for the first leg of Les Mills Live global tour which lasted 10 hours. Once inside Excel, the tribe were invited to make their way to one of five stages, depending on which classes they had booked prior to the event. One ticket granted participants access to six classes. And believe me – each person made quite sure they utilised every single class that the ticket allowed! Upon my arrival, I was greeted with great gusto from a joyous tribe ecstatically hopping from one class to the next and then the next and then the next (x 6!) I’m telling you, this tribe is TOUGH! They never seemed to tire! No amount of sweat, aching muscles and racing hearts would deter them from doing another one of their favourite workouts. It was a truly inspiring day full of team spirit, encouragement, energy, excitement, positivity and incredible perseverance! If you’d like to get involved in any upcoming events (YOU WOULD!) the next is taking place in Manchester on October 1st. Visit lesmills.com/lmlive for more info.Thanks to the Les Mills tribe for your infectiously powerful and positive vibe. Can I join please? !